Earlier this week, after what feels like several years of hints and teasers, Toyota officially launched their new Supra sports car at the Detroit Autoshow. A legend among car enthusiasts, the Supra has been out of production since 2002, when Toyota discontinued the fourth generation model (known as the MK IV) of their long-standing premium sports car. The new Supra has been created in a platform sharing program with BMW, and so much of the underpinnings (and more) overlap with the new BMW Z4—not a bad starting place for a new enthusiast sports car. The Supra is rear-wheel drive and boasts a BMW-derived turbocharged inline 6-cylinder motor. This shared development platform with BMW has the new Z4 only as a convertible and the Supra only as a coupe. 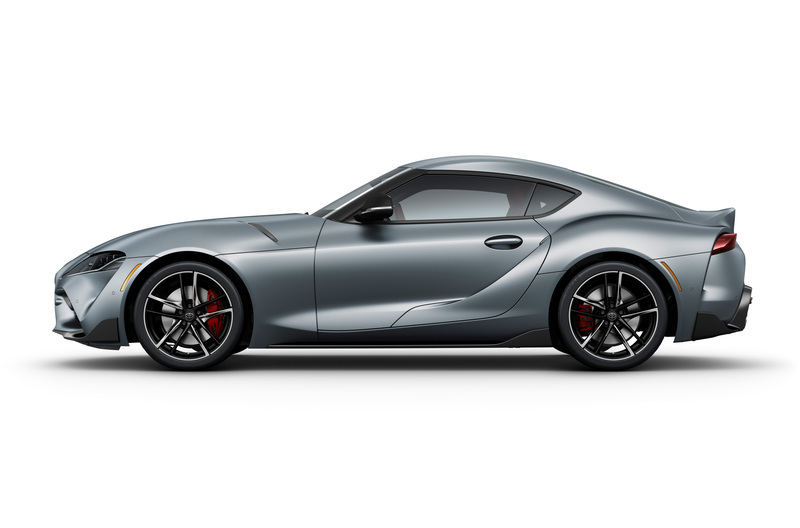 Building on the success of their 86 sports car (also known in these parts as the Subaru BR-Z), the Supra offers a big jump in performance and power, employing a turbocharged 3-litre inline six-cylinder engine that produces 340 horsepower. The Supra manages 0—100 km/h in just 4.3 seconds via an 8-speed ZF automatic transmission. That power and acceleration are matched by an active differential to manage grip at the rear wheels and an optional adaptive suspension to ensure that the Supra is comfortable when cruising and as agile as possible for more spirited drives. The front-engine rear drive formula is just as good now as it was when the last Supra proved itself some 17 years ago. Much of the styling from the original concept car has carried over to this final production model. The Supra’s exterior is aggressive and modern, with large air intakes up front and curvy fender flares in the rear. 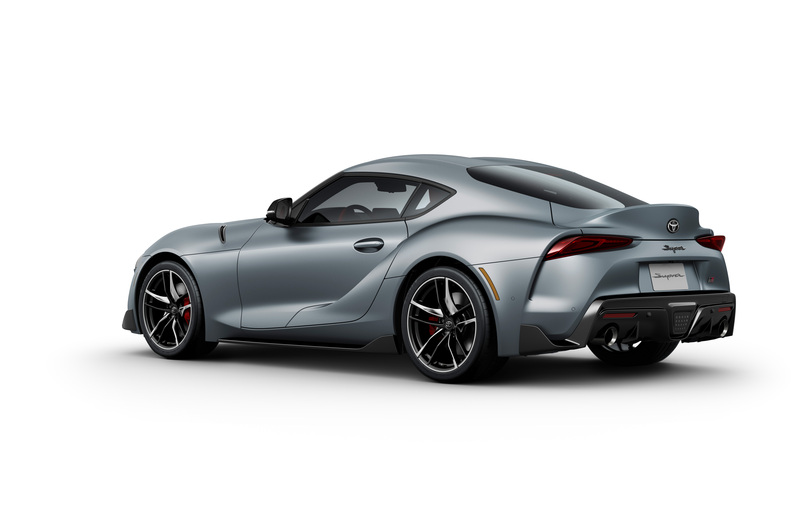 The “double bubble” roof design is a nod to Toyota’s early 2000 GT sports car and the ample fenders carry over from the MKIV Supra to lend a distinctly sporty appeal. While perhaps over-complicated, the look of the Supra its easily differentiated from that of its German cousin. The interior is where you can really tell that the Supra is using a lot of BMW bits under its skin. Any driver with a modern BMW will recognize the new Supra’s interior, from the large high-mounted infotainment screen to the iDrive controller and BMW’s distinctive shift lever, the Supra does little to hide its German DNA and while BMW makes a lovely interior, I can’t help but wonder what the inside of the Supra might have looked like if it weren’t a shared platform. While Canadian pricing has not yet been announced, U.S. pricing starts at $50,920 which is very close to the starting price of a four-cylinder BMW Z4. Offering a coupe based on the same platform but with a larger and more powerful engine, the Toyota name may not carry the same clout as BMW, but it’s definitely worth remembering that these are (in many ways) the same car. 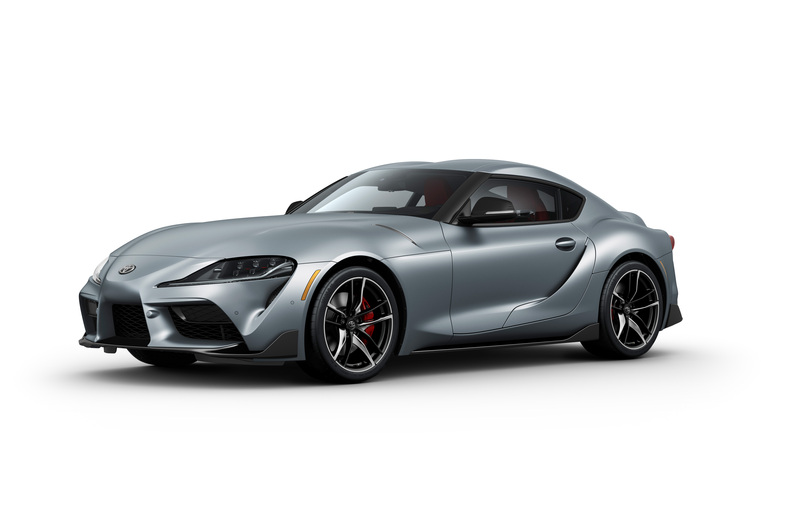 Enthusiasts have waited a long time for a new Supra and this new fifth generation will be available mid-2019. While both the styling and the strong connection to the BMW Z4 has proven to be divisive among Supra fans, the proof will be in how well the Supra drives. Considering established competition like the Porsche Cayman, the Nissan 370Z, the Ford Mustang, the Chevrolet Camaro, the BMW 2-series, and the Audi TT, the Supra will have to offer a compelling mix of performance and driver engagement to make moves in this market. Fortunately, some things don’t change, and the front-engine rear drive formula is just as good now as it was when the last Supra proved itself some 17 years ago.